ALTUS, Okla. – Haven Meged has two goals in mind for the final four events of the Central Plains Region. The primary goal is to qualify for the College National Finals Rodeo, which takes place at Casper, Wyo., in June. Only the top three contestants in each event advance out of the region, and Meged is tied for second after his run this past weekend at the Fort Scott (Kan.) Community College rodeo. But every competitor thrives on being No. 1; winning the Central Plains would be a major step for Meged. He is tied with Northwestern Oklahoma State’s Riley Wakefield for the No. 2 spot with 385 points. They both earned big points in southeastern Kansas and moved to within 50 points of the leader, Jeremy Carney of Connor’s State College. He did that in Fort Scott. He finished third in both the first and second rounds, with 9.6- and 9.4-second runs, respectively. His two-run cumulative time of 19.0 seconds pushed Meged to the No. 2 spot in the average. He secured 130 points and made up ground on the two men in front of him. Points are vital at each rodeo, because they add up to the season totals. “Doing well this weekend helped a lot,” he said. “I missed my short-go calf in Manhattan (Kan., in February) to get some good points. I just made sure I roped my calf this weekend before I did anything else. Every point counts, because it helps to what we’ve been working for all year. Yes, it is. But Western has performed well this season. 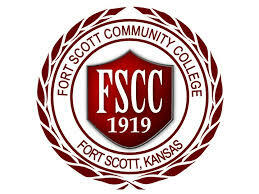 In Fort Scott, four other Western contestants earned points. Fellow tie-down roper Shane Smith was 9.3 seconds in the opening round to finish second but settled for a long time in the championship round. The team roping tandem of Riley Morrow and Shayna VanDerLeast were third in the first round with a 7.6-second run, while goat-tier Makayla Mack finished sixth in the first round with a 7.6-second run. It doesn’t hurt that he has a solid mentorship in coach Jess Tierney and assistant Jace Crabb. Meged also has been utilizing the expertise of an 11-time Wrangler National Finals Rodeo.